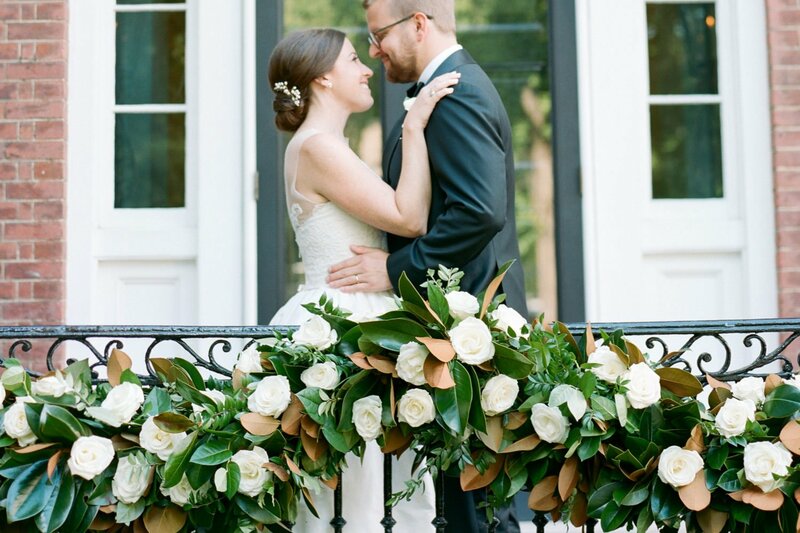 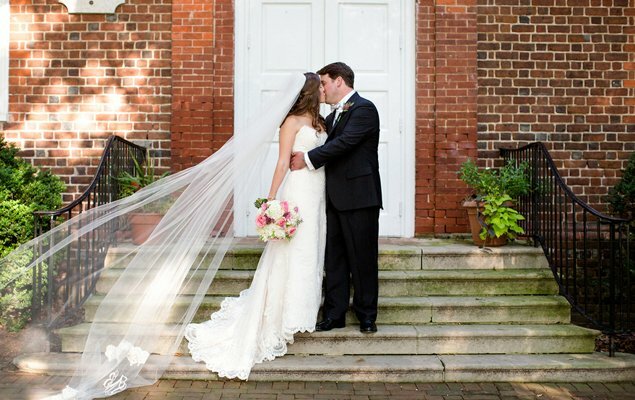 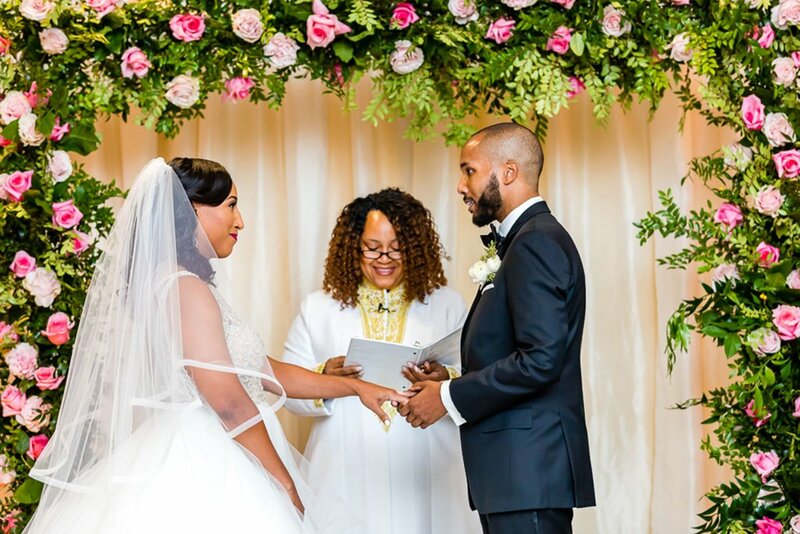 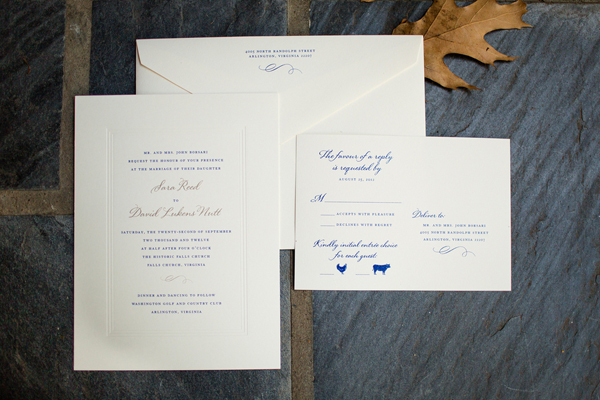 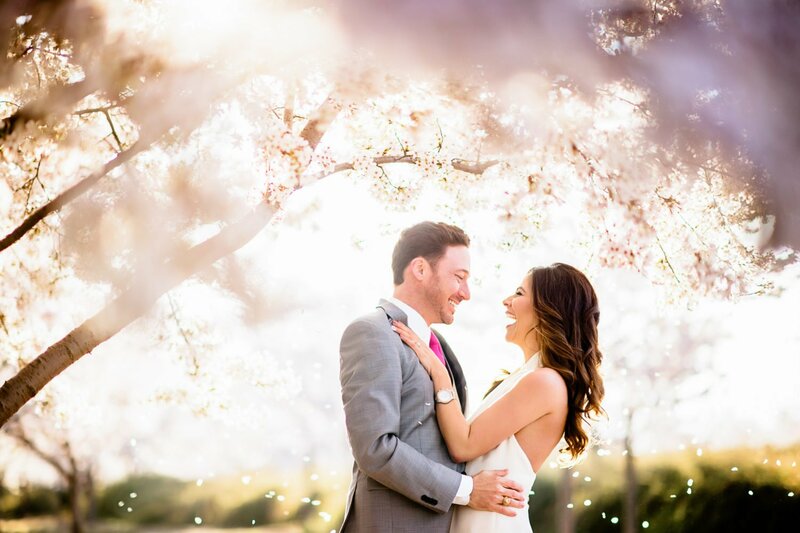 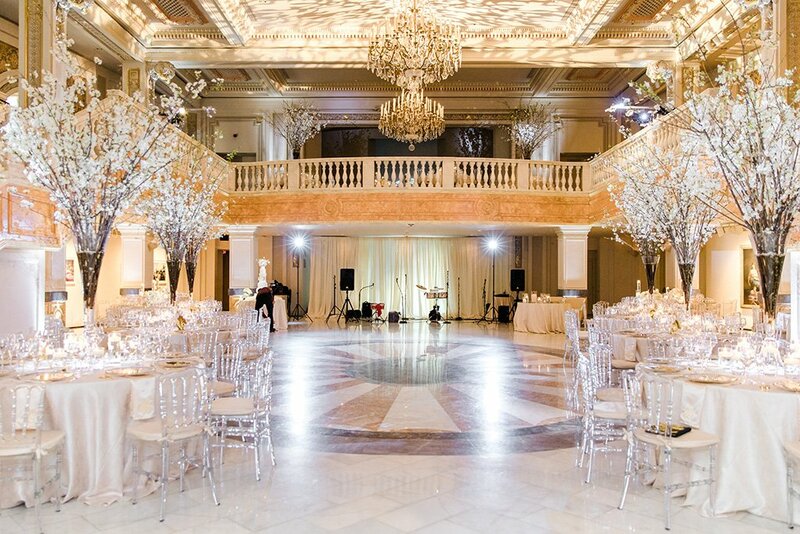 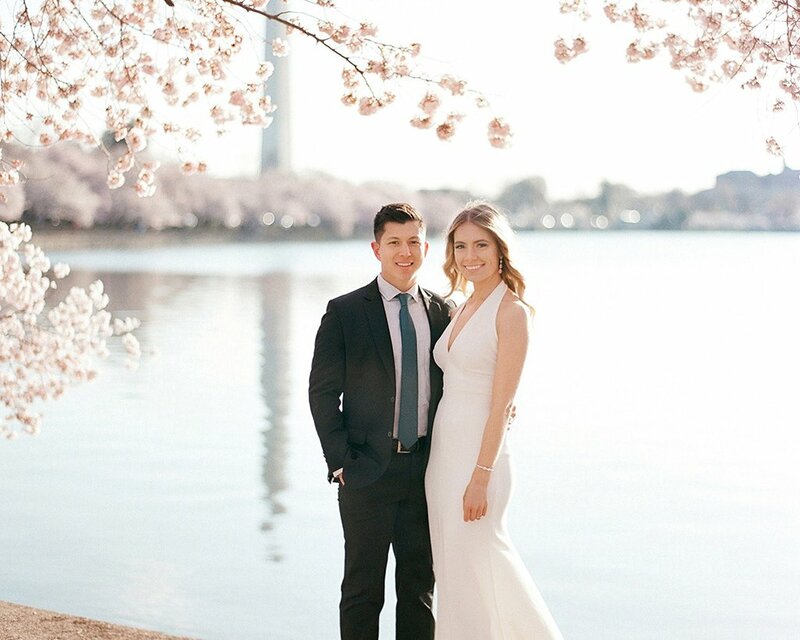 After meeting at a family wedding, this couple tied the knot in an elegant fall ceremony. 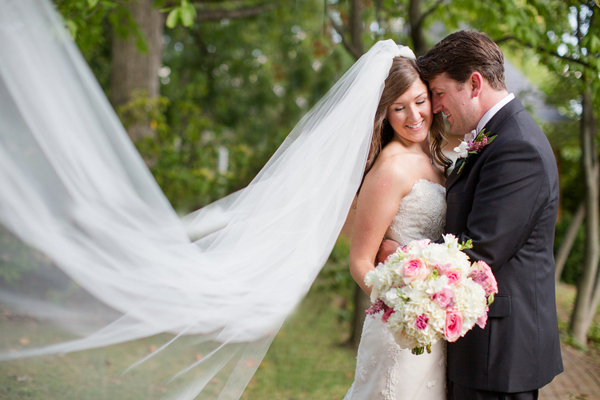 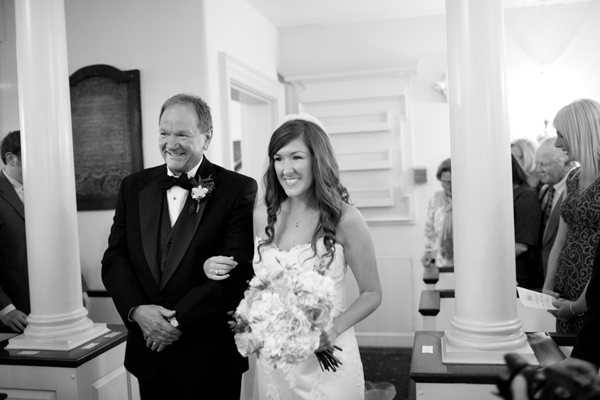 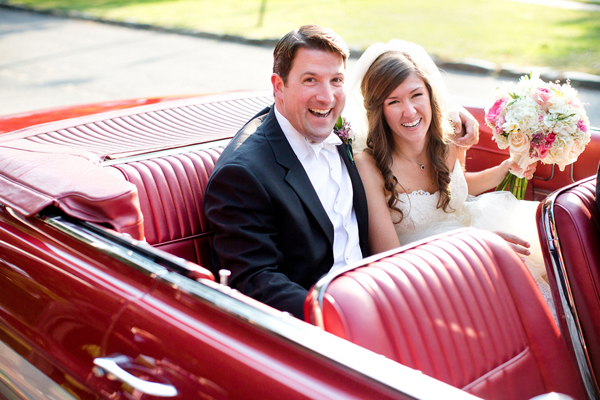 Sara and David on their wedding day on September 22, 2012. 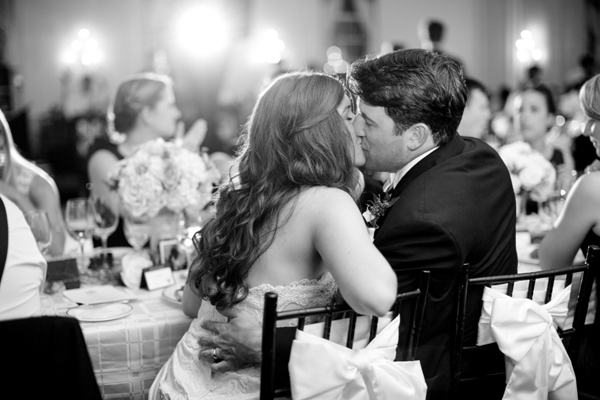 All photographs by Katelyn James Photography. 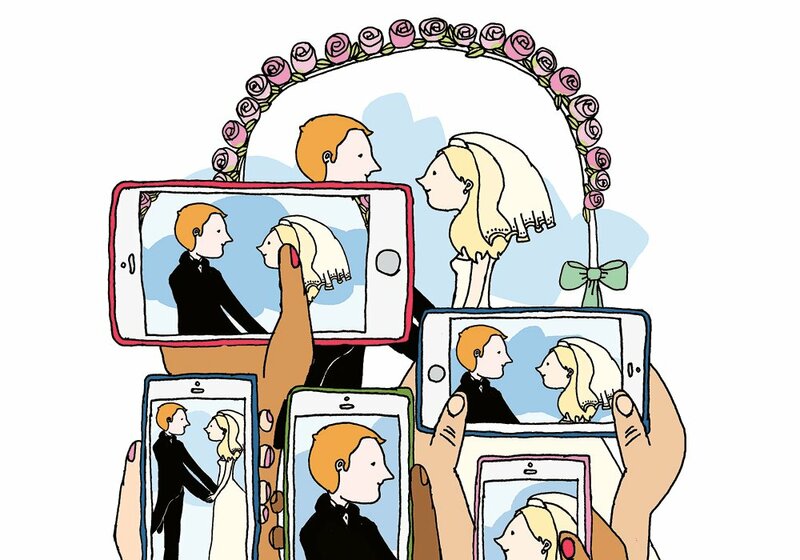 Sara Borsari, an intensive-care unit nurse, didn’t catch the bouquet on her cousin’s wedding day—but she met David Nutt, the groom’s brother, regardless, and sparks flew. 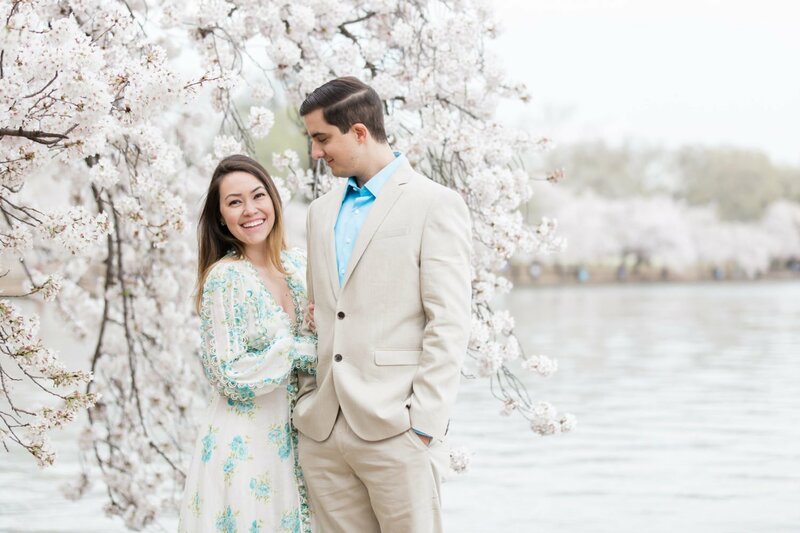 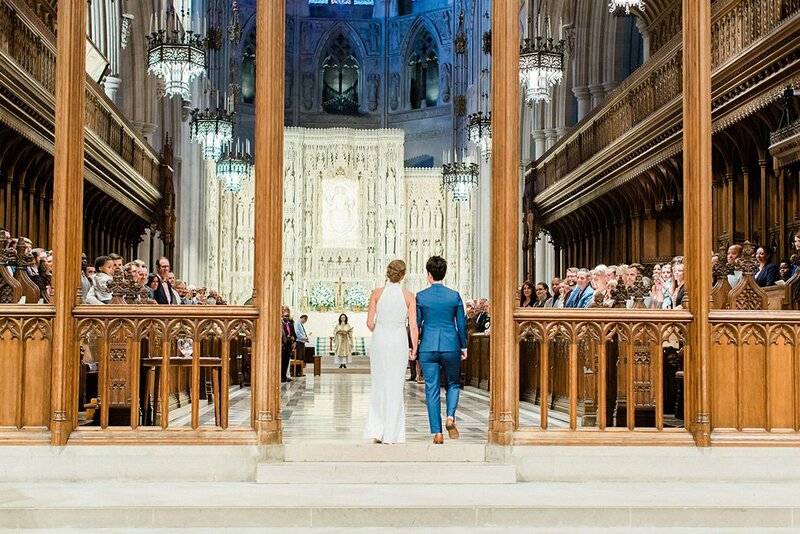 After a 13-month relationship, David, a physical therapist, surprised Sara with a Christmas Day proposal at the National Cathedral. 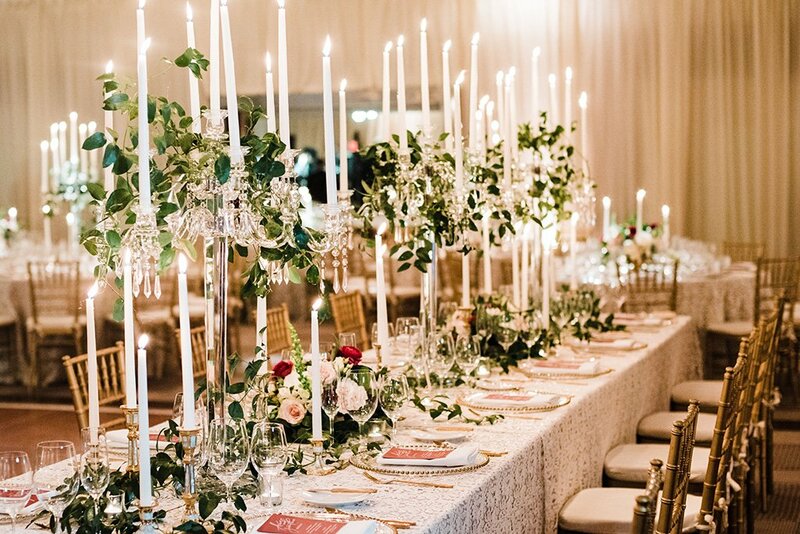 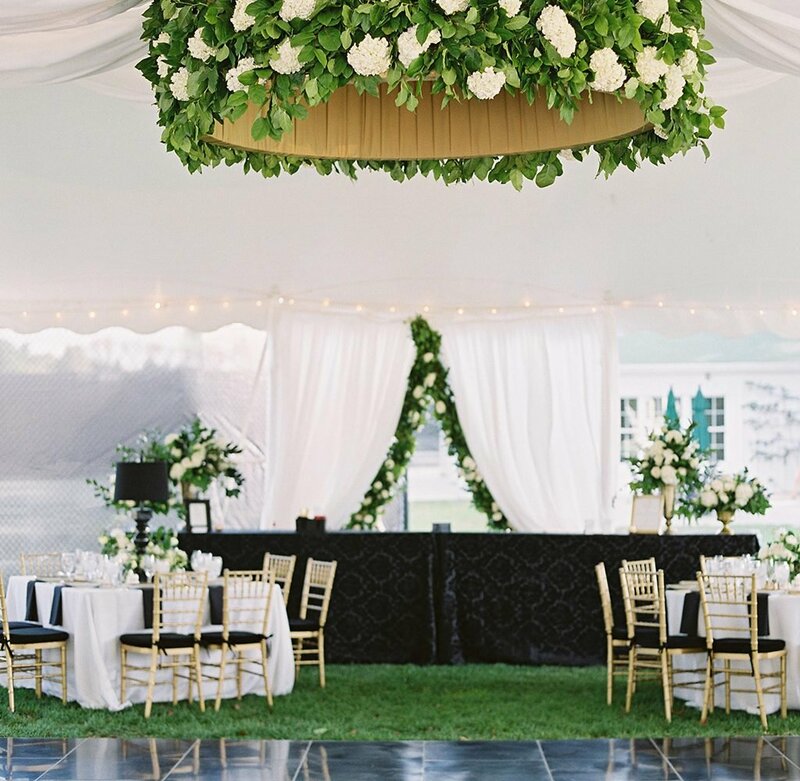 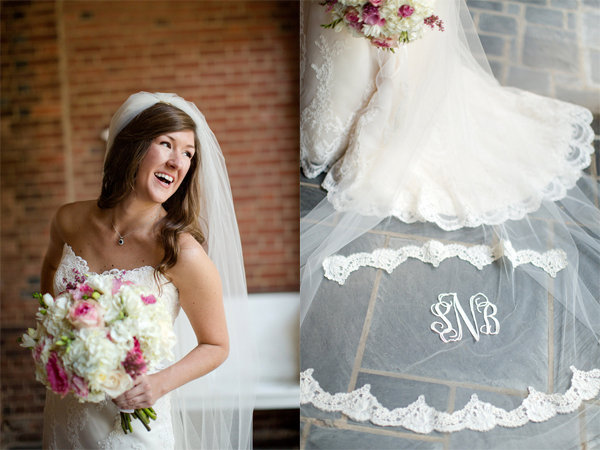 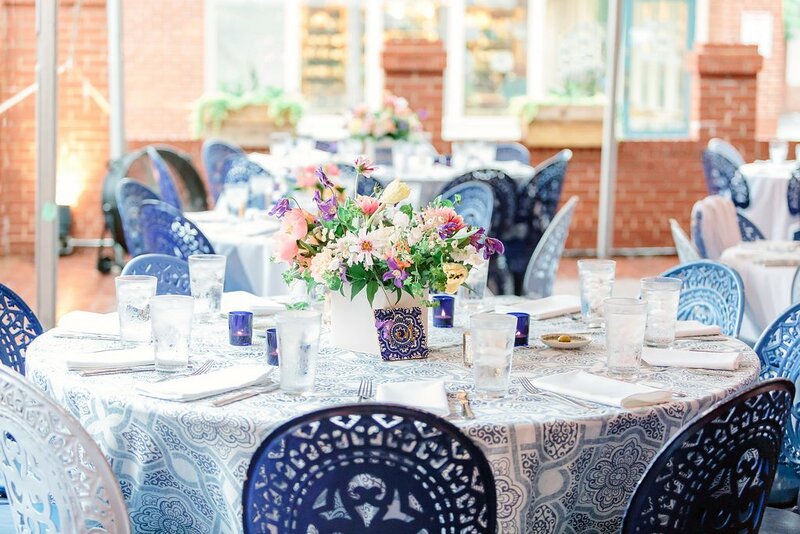 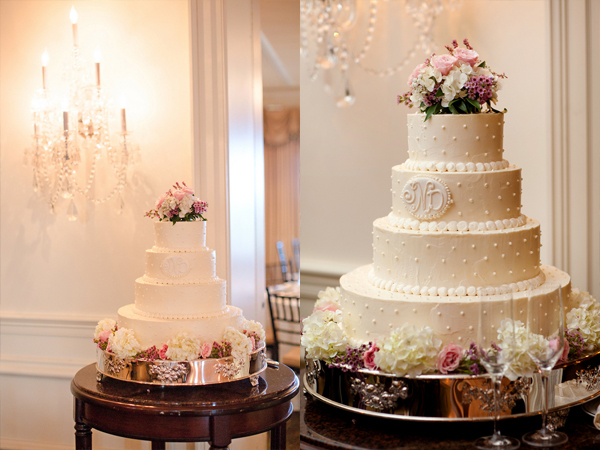 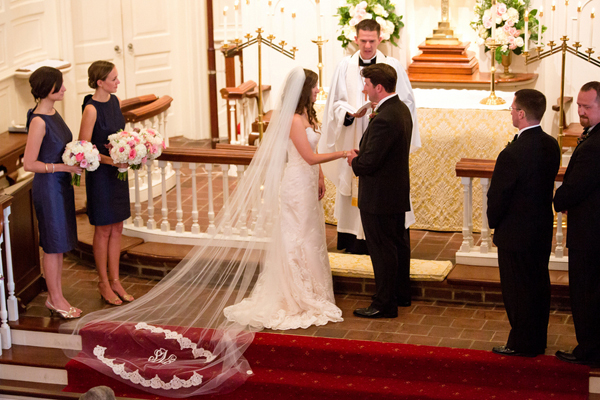 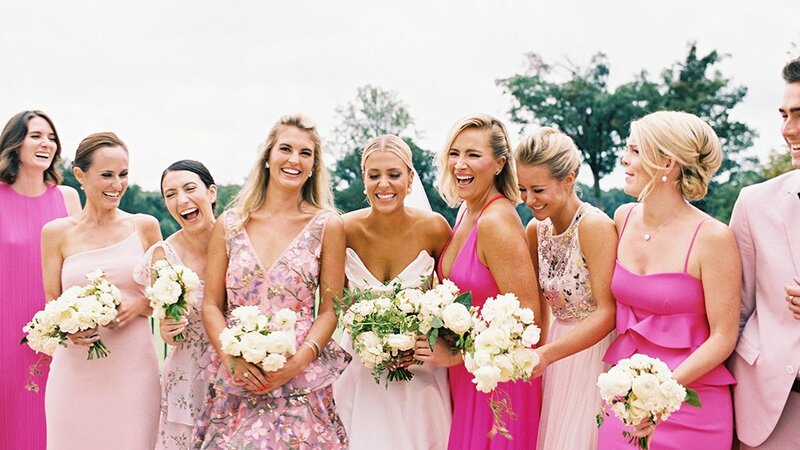 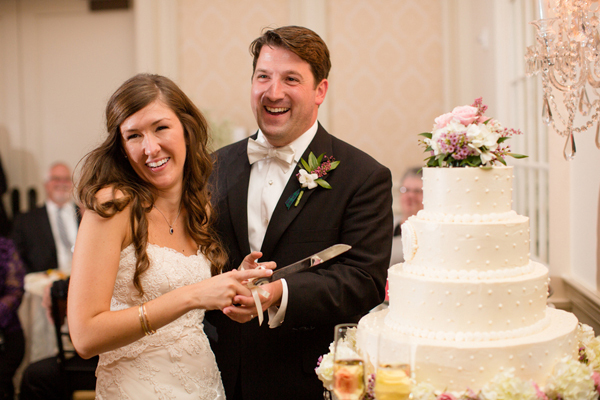 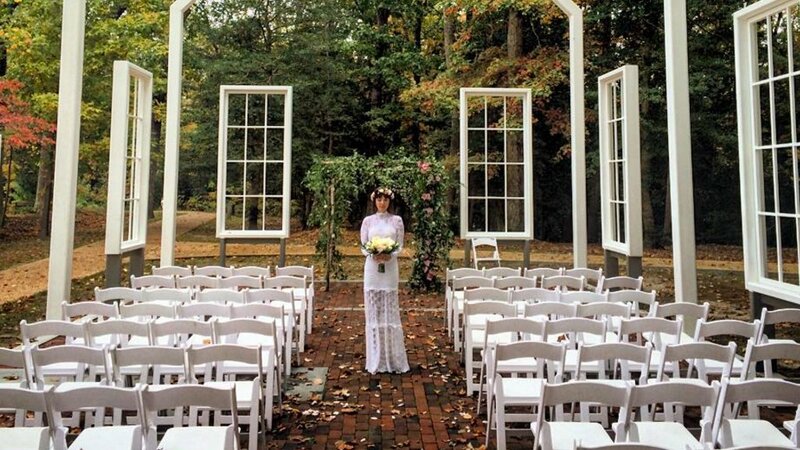 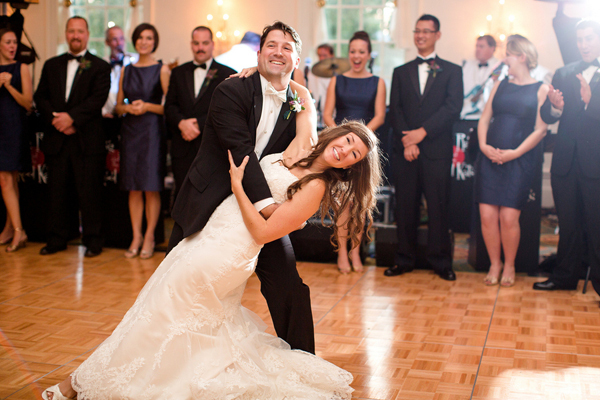 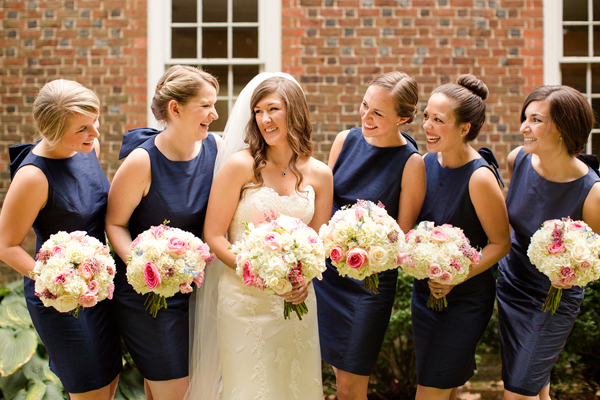 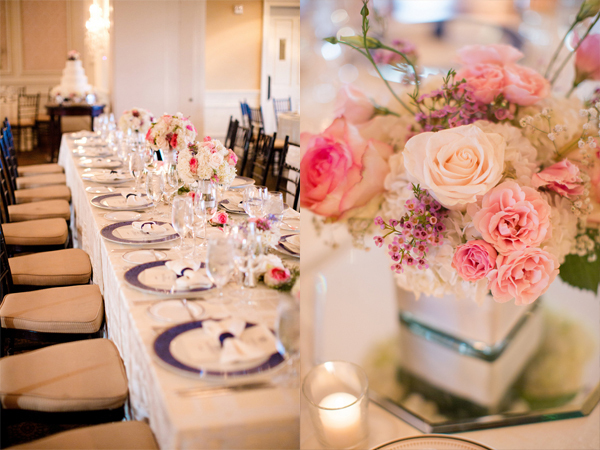 Ten months later, a classic wedding, complete with monogram details and a surprise performance by a bagpiper, followed in Virginia. 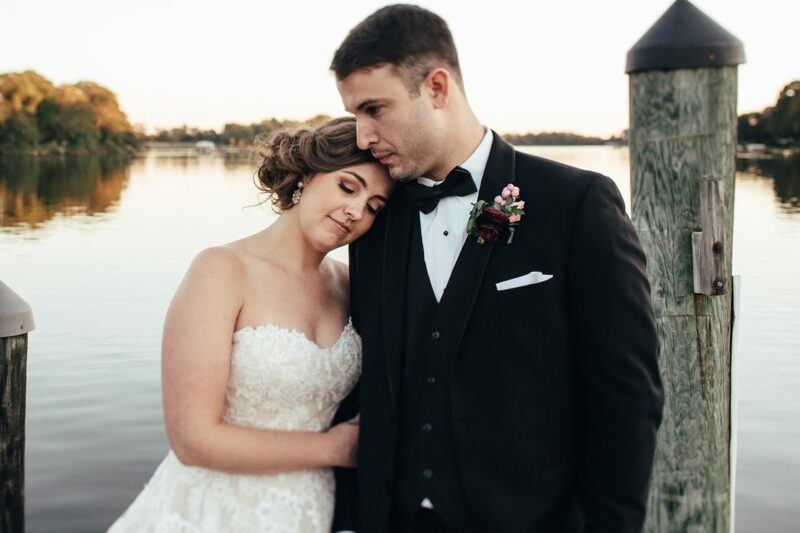 Biggest Surprise of the Wedding: The bride and her family surprised the groom with a bagpiper to welcome guests at the church and the reception. 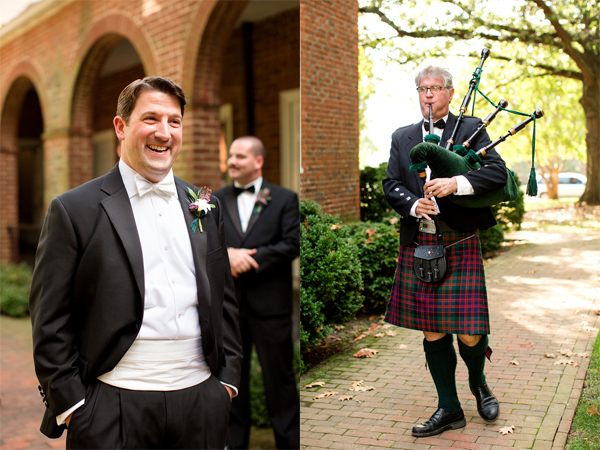 The groom also plays the bagpipes. 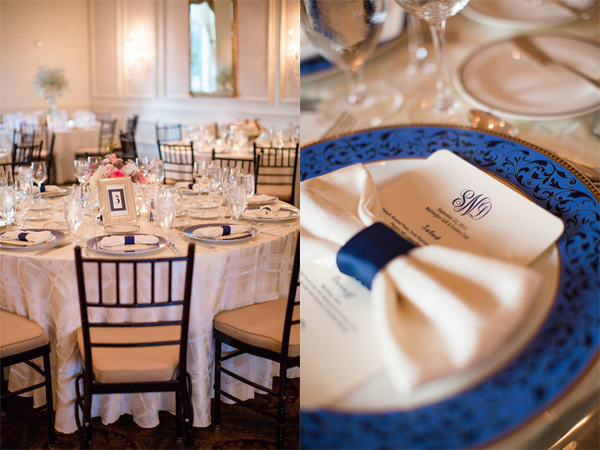 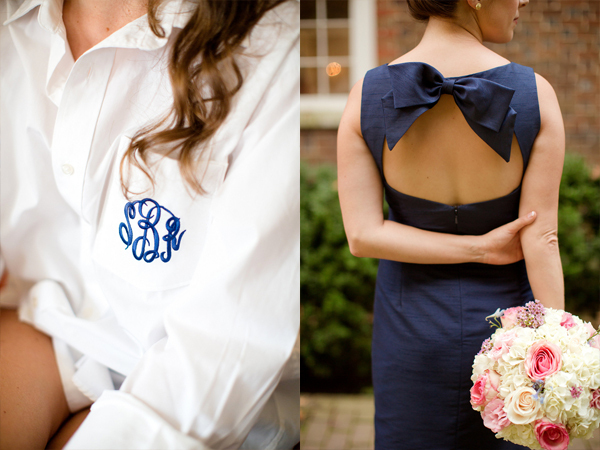 Decor Details: “My bridesmaids helped fold all the napkins into bow shapes, and we tied them with a piece of navy blue grosgrain ribbon so they looked like bow ties on the plates,” says the bride.